A great white shark was stranded on a beach in Cape Cod Monday, and a group of people gathered to help get it back into the water, CBS Boston reports. 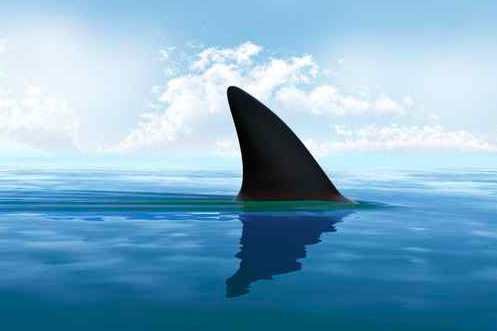 According to witnesses, the shark came out of the water while attempting to eat a seagull. “The shark was stuck there for a while in the sand, so then people got buckets and were trying keep it wet so it could continue to breathe,” Isabelle Hegland told CBS Boston. “I was a little afraid but I could tell it wasn’t moving anytime soon because the shore was going way out, it was approaching towards low tide so it was becoming increasingly difficult for the shark to keep its gills wet and be able to breathe." A crowd gathered to try to keep the shark alive. Shark expert Greg Skomal eventually made it to the scene. He said he and his team were able to revive the juvenile shark and get it back out to sea. Skomal said his team is accustomed to dealing with great whites that are a bit larger. The shark was the third white shark to be tagged by the Atlantic White Shark Conservancy off the area this year.